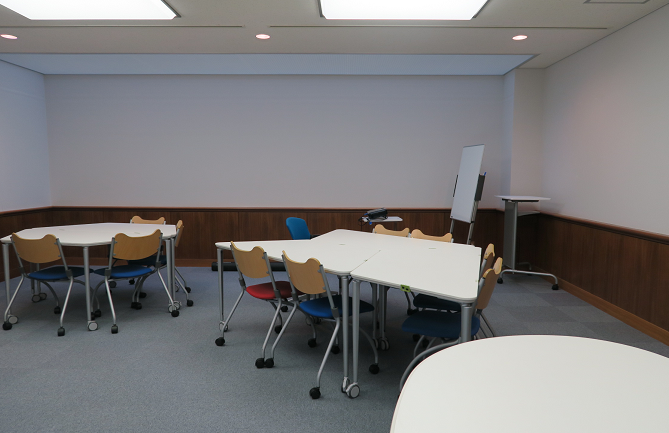 You can move desks and chairs in each space and can use a whiteboard and projector freely. The Book Lounge is a communication space near the entrance to the Central Library. You can hold an event such as a lecture, a presentation, a movie screening, etc. here. If you plan an event in this area, please submit the prescribed application form to the central library section. 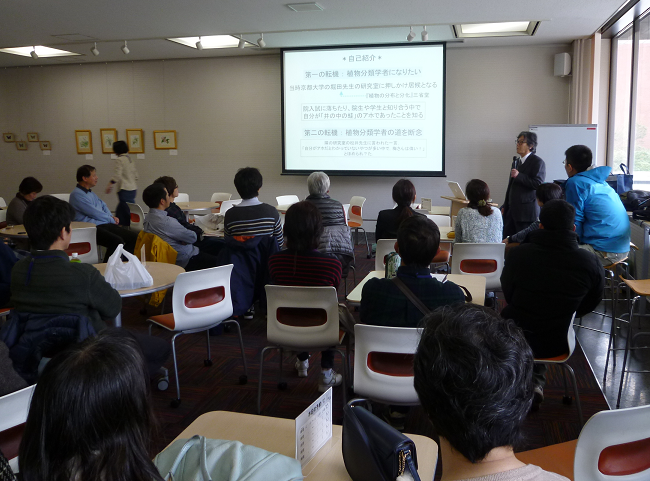 Please read 「金沢大学附属図書館ラーニング・コモンズ利用内規」(in Japanese) for details. Gallery α is an exhibition space on the wall of the Book Lounge. 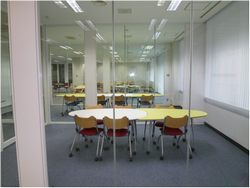 You can use this space for the presentation of club activities, exhibition of research projects, etc. Carrying in/out materials should occur between 9:00 a.m. and 5:00 p.m. on weekdays. 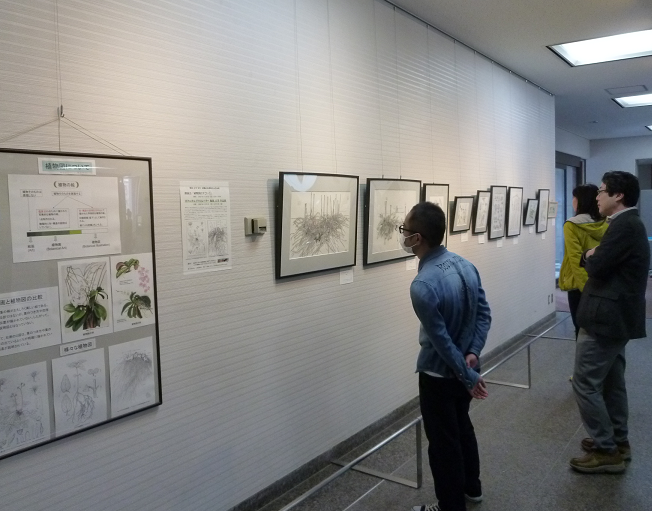 If you plan an exhibition in this area, please submit 申請書(EXCEL/PDF) to the Central Library section. Also, please read 「ギャラリーα利用案内」(in Japanese) for details. Today’s and the current month’s newspapers and books and magazines of Hon-Waka Bunko collection are available in the Book Lounge. The Hon-Waka Bunko collection owns casual books selected by library student volunteers. Please use them in the Book Lounge. 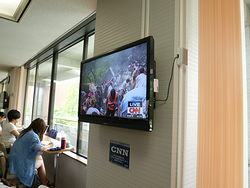 You can watch CNN and BS broadcasting on the TV in the Book Lounge. Wireless headsets are available at the service desk. The Infosquare in front of the service desk provides access points for various sources of information. 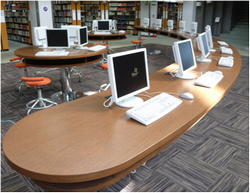 You can find computers for searching OPAC plus, accessing the internet, and searching databases of newspapers here. Please visit ★中央図書館でのパソコンの利用について for details. 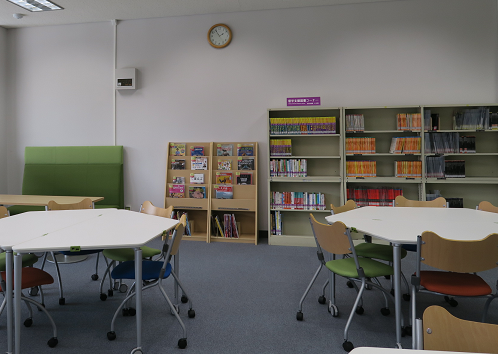 Paper-based resources are also available in the Newly Arrived Books/Pedioricals Section and the Hokuriku Bank collection. Internet section: 13 computers. OPAC plus section: Three computers. Newspaper database search section: Two computers. 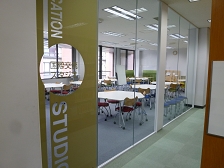 A whiteboard, a projector, desks, and chairs are available here for studying. Please submit an application form to the service desk by 5:00 p.m. of the previous day if you want to use the whole studio for a class or a seminar. 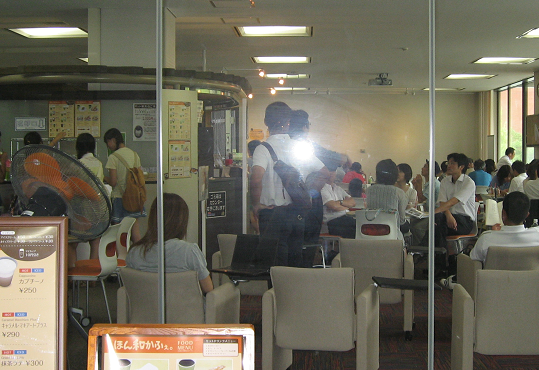 International and domestic students can communicate here in an everyday atmosphere. 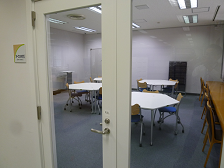 You can use this space for self-learning and international exchange using a whiteboard, a projector, desks, and chairs. Learning advisers support student self-learning. The Learning Concierge for International Students (LeCIS) supports international students’ self-study. Information for international student is provided here. Please submit an application form to the service desk by 5:00 p.m. of the previous day if you want to use part of the studio for a class or a seminar. 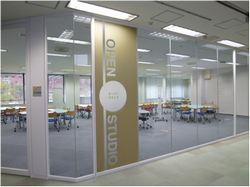 Polaris Studio is a closed space in which students can study using a whiteboard, a projector, desks, and chairs in an environment with KU identity. Precious materials owned by the library are exhibited in a display case in this studio. Works by KU staff and alumni will be exhibited here.